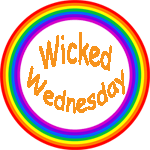 Posted on July 10, 2018 July 9, 2018 by livvylibertinePosted in blog, communication, consent, essay, musings, opinion, relationships, thoughts, Wicked WednesdayTagged blog, blogging, communication, essay, opinion, ramblings, relationships, thoughts, writing. Good advice here. It’s always better to let someone else decide for themselves, right? It really is so important and it is something I didn’t have in my marriage (nor did I afford it to my partner) so in my current relationship I am more aware of it for certain! I hate, hate, hate it when anyone takes that choice from me (and partners that do this never last with me).